What in the world is going on in Sverre Riise’s kitchen? He is one of the few orchestral trombonists (he is principal in the Norwegian Radio Orchestra) who also works extensively as a soloist and in chamber music, and now he’s cooked up an appetising meal of trombone music by Norwegian composers Arne Nordheim, Jon Øivind Ness and Ørjan Matre - something rare on record. The trombone is not a common solo instrument, despite having nearly unlimited resources. A highly-trained trombonist like Sverre Riise is able to play surprisingly fast, ranging over an impressive four and a half octaves. The instrument also possesses wide possibilities in dynamics, so for composers just about anything is possible! Still, works written especially for the trombone are few and far between, so Riise asked some of the foremost Norwegian composers to change that. Ørjan Matre has a distinct sense of working with sound, which is very clear in ‘...since I say it now’ - the trombonist sings while playing. 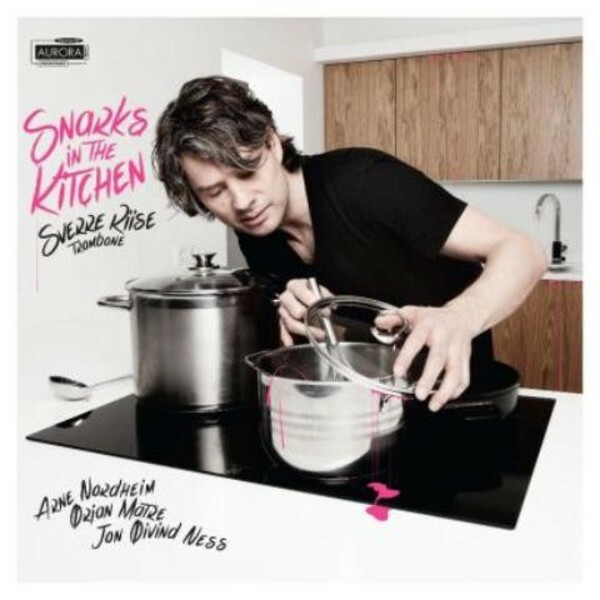 Known for the humorous undertones in his music, Jon Øivind Ness’s ‘The Dangerous Kitten’, from 1998, has a title inspired by Frank Zappa’s 'The Dangerous Kitchen'. Though Ness is now moving away from his humorous image, ‘Moray’, named after the carnivorous eel, seems to be an exception: its subtitle should be read with a lisp - “The piece formerly known as Phekph Piphtolph”. Arne Nordheim is perhaps the best-known Norwegian composer of our time. His own background as a trombonist gave him an advantage in understanding the instrument’s techniques. In his legendary pieces ‘The Hunting of the Snark’ and ‘The Return of the Snark’ based on Lewis Carroll’s nonsense verse, Nordheim uses the trombone to represent the sound a “snark” might have made if it was real. In addition, ‘Vevnad’ for cello and electronics is recorded for the first time on this release.